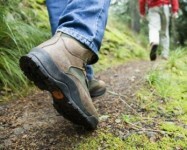 Premium Member – spend less time puzzling, more time geocaching. After placing the right solution, the final coordinates may be given! The GeoLeaks website is available in 6 languages and our webforum in 43 languages thanks to Bing Translator. Feel free to register! Since late 2010, GeoLeaks has been active with a forum for solving mostly mystery, multi-mystery, traditional caches with extra assignments, Letterbox Hybrid and armchair caches both inside and outside the Benelux countries, with emphasis on the Dutch language area. We are receiving more and more solutions outside this area; in the rest of Europe, but even the rest of the world. GeoLeaks has since become a quintessential support for the modern geocacher. Since 2010, we managed to scrape together over ten thousand solutions for mystery caches. It is our mission to keep that number growing steadily and to keep it up-to-date as much as possible. The GeoLeaks website is the access portal to make things easier for the Geocacher. 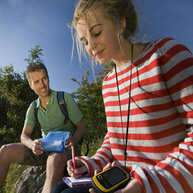 Our goal is to let the Geocaching game take place outdoors again and less indoors. It is also possible to publish spoiler photos or spoiler videos on the forum, but only of mystery caches, multi-mystery caches, traditional caches with extra assignments and Letterbox Hybrid caches. Final coordinates are allowed on our webforum after the right solution is given. Anyone with the right intentions is welcome to the forum. GeoLeaks is an addition to the worldwide game Geocaching. If you would like some help with this game, then GeoLeaks is the right place to go to! For the old guard: we are actually reviving the former Megaheks website, but repackaged and much more extensive. If you would like to help solve all those Geocaches, you are more than welcome to join the increasing group of Geocachers who help each other with solving the most diverse mystery caches. By taking a look at the webforum, you can see which mystery caches have already been solved thanks to the search option using the GC-code of the mystery cache. If you would like to join GeoLeaks, you can register on the forum. You will become Basic Member and will have limited access to the forum. This is also the first step you have to take to progress! Be sure to read the forum guidelines before you join so you can join the puzzling with all the others who did so before you. If you would like more and would like access to a huge pile of information about solved mystery caches, then you can become Premium Member. This will also give you access to the Flash Gear Solver. Become Premium Member and gain access to all solved caches! By using the PayPal button on the website, it is possible to make a one-time donation of only € 30 to become Premium Member. By contrast, becoming Premium Member for a year at Geocaching.com is € 30, but this cost returns each year. The total revenue is donated by GeoLeaks to a project for sustainable energy on the island Sumba in Indonesia. The goal of this project is for this island with its 650,000 residents to switch to forms of sustainable energy, such as solar energy, wind energy and biomass. Should this experiment succeed, this will have large consequences for the energy provision anywhere in the world. This is how GeoLeaks directly supports the development of sustainable energy. By making a donation via the PayPal button, your account is automatically turned into Premium Member. By using the PayPal button, it is also possible to donate via credit card or your own bank account number. You will first have to create a PayPal account and connect it to your bank account. You do not need a credit card. Transaction costs when making a donation are absent; making use of PayPal is free. Becoming a Premium Member in this way does not relieve you of your 'duty' to actively help solving mystery caches, of course. And while you're at it, why not add a nice forum avatar to your profile (maximum 20 kB and 120 x 120 pixels). This only makes the forum nicer to look at. GeoLeaks is not affiliated or partnered to other Geocaching websites. We are and will always be independent with full freedom and we want to keep it that way. However, Geoleaks does not exclude other Geocaching groups and that is why you will find external links to other websites on our website. Every Geocacher plays the game in his or her own way, online or offline; it does not matter for the final goal (finding the box). In the view of GeoLeaks, each geocacher must be able to find a cache without encountering all kinds of obstacles that make the cache (nearly) untraceable. GeoLeaks is also very educational, in the sense that the forum contributes to learn various puzzle methods and how to deal with them. Feel free to look around on our website and on our forum. On the website, you can find tools to solve mystery caches including the Flash Gear Solver and the Jigidi Solver (both for Premium Members Only) and a number of fun videos about Geocaching. GeoLeaks facilitates this website and the GeoLeaks forum for exchanging solutions and support for the geocacher and will keep providing the resources for it. GeoLeaks will disregard any request for censorship. The GeoLeaks team wishes you a lot of puzzle fun! GeoLeaks maakt beperkt gebruik van cookies. Gaat u akkoord met het gebruik hiervan?